A new revolutionary product combining Solar and LED technology. This is best solution to remove the power electrical supply, surge damage and green technology. The system will charge the battery during day time and illuminate at night time. 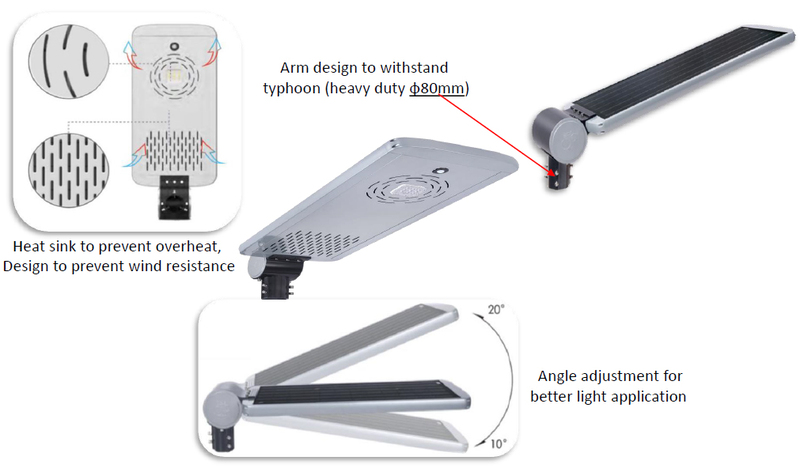 NuTec solar street light are utilizing PHILIPS LUXEON LED luminous source, providing excellent luminous efficiency, long lasting stability and sight.